We’ve said it before, and we’ll keep saying it: CMO turnover is the strongest signal that changes between a brand and its agencies are coming. It might not be true immediately, and it might not be true in all cases, but most of the time, when a brand’s CMO changes, its agency relationships will follow. 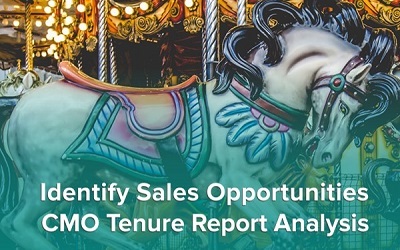 WinmoEdge‘s Betsi Nelson compiled a report on the average tenures of more than 1,400 CMOs going back over a decade. In this webinar she discusses her findings and talks about how media sellers and agency new business directors can identify and predict when changes might happen in their target verticals.